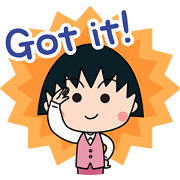 What happens when Chibi Maruko-chan joins the office? Find out in this playful set of versatile stickers—perfect for both on and off the job! 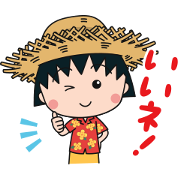 Chibi Maruko-Chan is ready to see the world with LINE Travel jp in this exclusive sticker set! These useful stickers help your chats travel in style. Friend the LINE Travel jp official account to get the set for free. Chinese New Year wouldn’t be the same without Maruko-chan and her family! 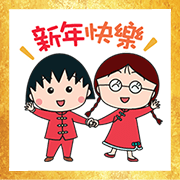 Celebrate the Spring Festival with these useful good-luck stickers.